A New Hampshire company is recalling about 8,800 pounds of raw beef products that may be contaminated with E. coli after 14 people fell ill. The U.S. Department of Agriculture's Food Safety and Inspection Service announced the recall on Tuesday. It affects ground beef, ground beef patties and other sub-primal cuts produced by North Haverhill-based PT Farm, Chestnut Farms, Miles Smith Farm and Robie Farm. The raw, intact and non-intact beef products were produced between June 6 and June 16. The items were shipped to retail locations and for institutional use in Maine, Massachusetts, New Hampshire and Vermont. People who have purchased these products are urged not to consume them. The Food Safety and Inspection Service says 14 people have gotten sick. The investigation is ongoing. 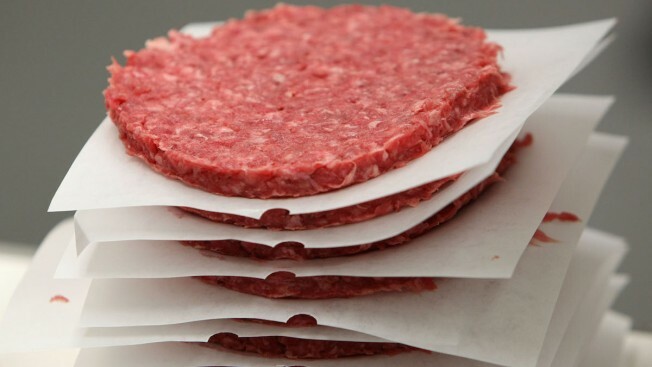 "We are grateful that the USDA quickly investigated this situation and took swift action to help us protct the health of the people who may have purchased this ground beef," DHHS' Marcella Bobinsky said in a statement. Symptoms of an E. coli infection include severe stomach cramps, diarrhea, fever, nausea and vomiting.